The courage displayed by the Standing Rock Sioux Tribe in their fight to protect their sacred land and water and the treaty rights of Native Peoples has given heart to people throughout the U.S. and around the world. The ramifications of the struggle are local, global, and ongoing. The issues are legal, economic, political, and theological. 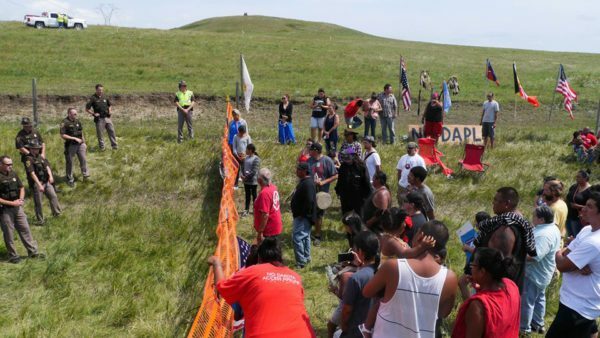 On June 8, 2017, the Wallace Global Foundation awarded the Standing Rock Sioux Tribe the inaugural Henry A. Wallace award "for its brave resistance in defending sacred land and water against the Dakota Access Pipeline." The HAW award is given in recognition of "extraordinary examples of courage in standing up to abuse of corporate and government power." I highly recommend that you check out the website and the powerful video narrated by Bill Moyer. Standing Rock Sioux Chairman, Dave Archambault II, accepted the $250,000 award. In addition to this award, the Foundation pledged up to one million dollars in investments to support renewable energy projects led by the Tribe. On June 14, 2017 , Judge James Boasberg, U.S. District Court in Washington, D.C., wrote a 91-page decision finding that the U. S. Corps of Army Engineers did not adequately consider the impact of oil spills on the environment and on people. The judge did not halt the flow of oil in the Dakota Access Pipeline, however. This decision awaits another hearing. The confrontation between the Standing Rock Sioux Tribe and the Energy Transfer Partnership brought to light a disturbing partnership between the corporation, law enforcement and TigerSwan, which is described by The Intercept as a private "mercenary and security firm." Founded by Army Col. James Reese, TigerSwan, describes itself as "an ideologically driven insurgency with a strong religious component," according to The Intercept. Since it is a private security company, TigerSwan is not subject to the legal restrictions that would apply to law enforcement agencies. In fact, during the time of the confrontation in North Dakota, TigerSwan was not even licensed to operate in the state. Nonetheless, documents obtained by The Intercept show that in North Dakota TigerSwan worked closely with local law enforcement, the North Dakota Attorney General, the North Dakota Bureau of Criminal Investigation, the Department of Homeland Security, the Bureau of Indian Affairs, the Federal Bureau of Investigation and other national agencies. Then FBI Directory James Comey set up a Joint Terrorism Task Force to investigate and interrogate water protectors and their allies. The trend toward increasing the militarization of law enforcement is disturbing enough. When we add to that the criminalization of dissent and equating protest with terrorism it is imperative that we address questions of corporate wealth and power and the rights of dissent from a religious and theological perspective. When corporations are treated better than human beings, we need to claim higher moral ground. When profits matter more than people, we need to claim higher moral ground. On June 4, 1957, Dr. Martin Luther King, Jr., spoke about "The Power of Nonviolence" to an audience in Berkeley, California. In his address he spoke about the need to be "maladjusted." He said, "I never intend to adjust myself to the tragic effects of the methods of physical violence and to tragic militarism. 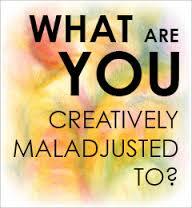 I call upon you to be maladjusted to such things. . . . As maladjusted as Jesus of Nazareth who dreamed a dream of the fatherhood of God and the brotherhood of man [sic]. God grant that we will be so maladjusted that we will be able to go out and change our world and our civilization."